Heritage Consulting Inc. was engaged by Oregon Heritage, the state’s heritage agency to undertake fresh research about the wide variety of state, county, and local preservation funding and incentive programs across the nation. This two component research project produced a spreadsheet with basic information about 150 different funding or incentive programs nationwide that direct grant support to heritage organizations. The spreadsheet also included financial incentives for rehabilitation of income or non-income producing historic properties. 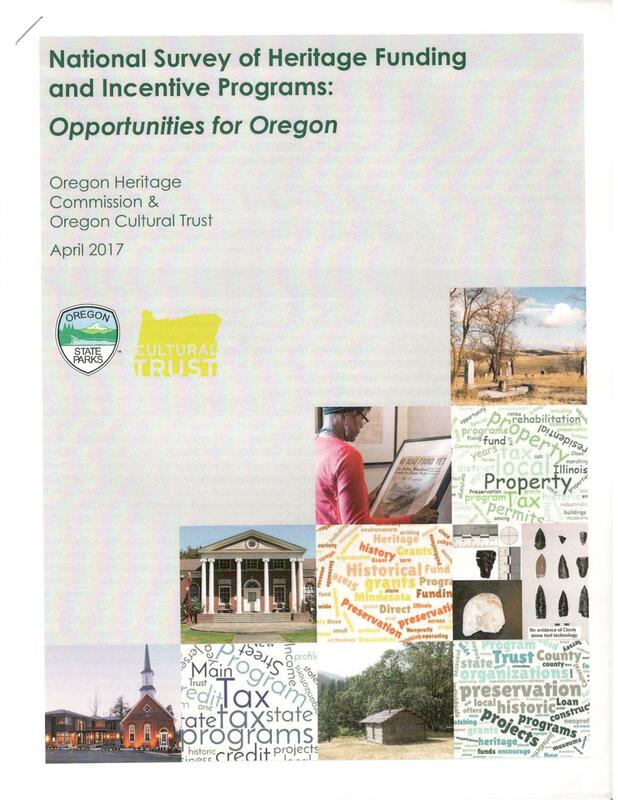 In consultation with their staff, we identified 22 programs to profile for a 40-page publication now available here and on the Oregon Heritage website here. The variety of funding programs and incentives for preservation projects nationwide was staggering. However, we learned through this research that very few preservation incentives or new funding programs have been established since the start of the 21st century. Also surprising was that there is no one place to find this information. We expected that an enterprising graduate student would have written a thesis on this topic or that the national public and private sector preservaiton organizations/agencies (NCSHPO, NTHP, ACHP, Preservaiton Acton) had collected this information as a service to the field. All had fragmentary data on their websites, and the student research papers we found had information on specific states but there was no national overview. Our six-week research project was in no way comprehensive because of time limitations. Rather our research was meant to help the Oregon Heritage agency to identify potential funding opportunities or programs to add to their already robust and enlightened heritage and preservation funding grant programs. our report here, see the spreadsheet here and our presentation here.